Social media is one of the best ways to reach candidates. With only one click, it’s incredibly simple to share a job with your entire network. However, getting a response from those candidates can be challenging. 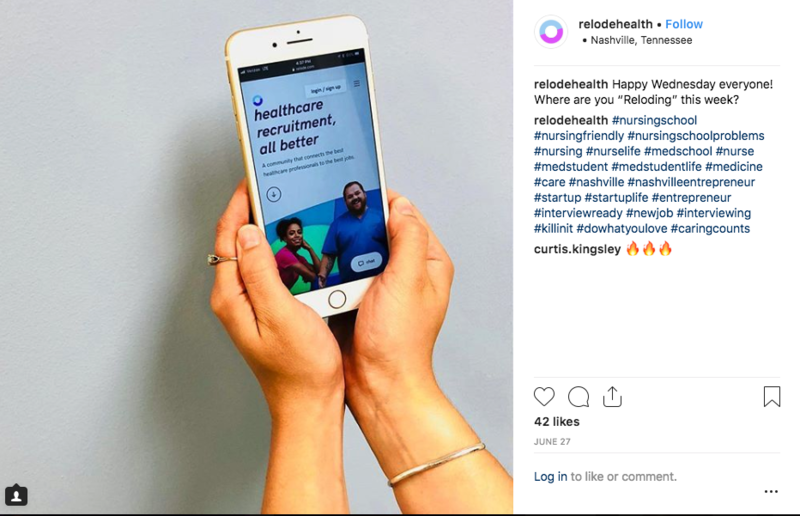 If you’re having trouble connecting with job searching healthcare professionals on social media, it may be time to take a step back and evaluate how you’re presenting the message. Great phrasing can be the key between reaching an interested nurse or doctor and having them scroll past your post. In this blog, we’ll help you take your posts from meh to amazing, just by tailoring your wording. This approach may take a little more creativity, but it will pay off in the long run when you create engaging, interesting posts that will attract your perfect candidate. Remember, all social networks aren’t created equal, so approaching each network with a different mindset is crucial. We’ll cover the big four: Facebook, LinkedIn, Instagram, and Twitter to help you get started. With over 21 million users, Facebook is by far the largest social network in existence today. At its core, Facebook is made for connecting with friends and family, but sometimes the platform’s updated algorithms can make it difficult to get visibility. However, Facebook remains the largest job searching platform, with 48% off candidates actively using Facebook to find their next position. Facebook likes images, so whenever possible, include an image in your post to grab someone’s eye. Facebook also has a job posting feature that may be helpful for you. It will allow your candidates to apply directly (just make sure you’re using your unique link). 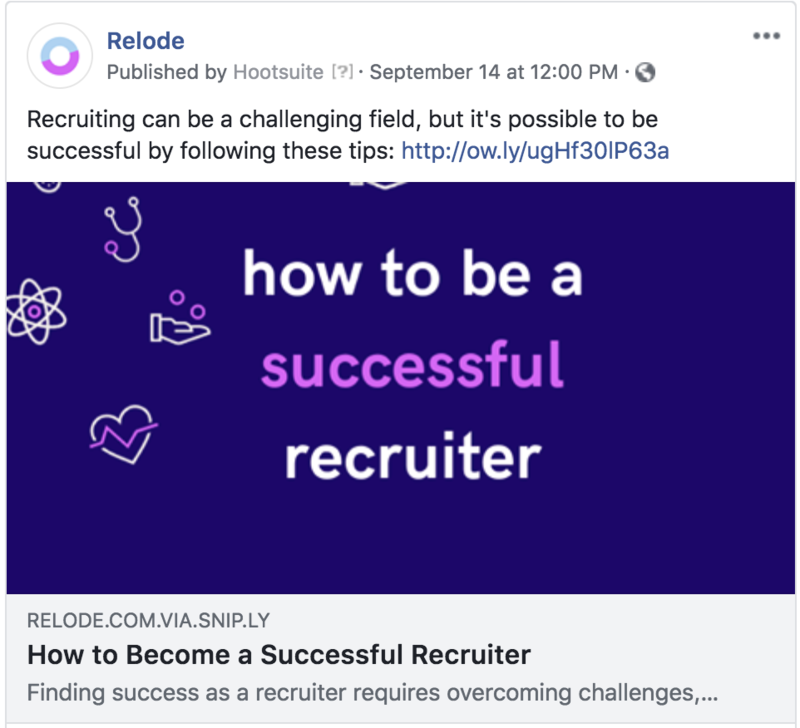 Facebook groups can be a great way to connect with potential candidates. Be warm, respectful, and friendly, and make sure to respect the group’s guidelines. Pay attention to your post times. Think about when your candidates might be online and adjust your posting times based on that. Above all, be human. People respond more to authenticity on social media, especially on Facebook. LinkedIn is probably one of the most powerful tools for job seekers today. It’s also the platform where tone matters the most. LinkedIn is made for professionals, so you should make sure that your tone reflects that. When posting a job on LinkedIn, read the job description carefully. 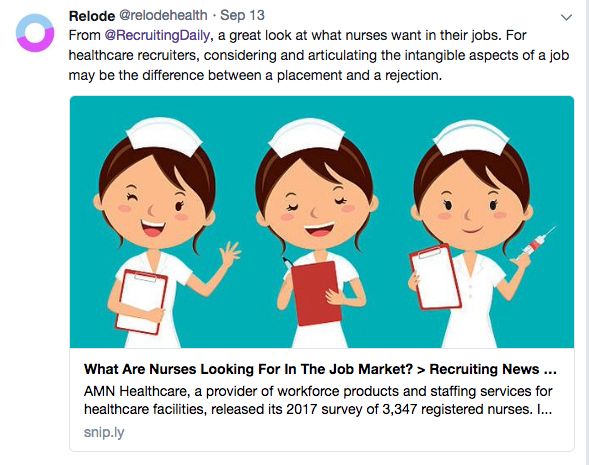 Make sure that everything is spell checked and that the job looks interesting to searching nurses and doctors (hint: some of our most successful recruiters even rewrite the descriptions when they post them). When you’re offering to connect with a candidate, make sure to be friendly, professional, and brief. It can be tempting to explain the job in detail in your first message, but just adding the relevant details makes it easier for a busy professional to scan the message. If you’re using LinkedIn to find candidates, you should also take a few minutes to make sure your profile is up-to-date. Instagram is one of the more rapidly growing networks, especially among Millennials and Gen Z’ers. Instagram is unique in that it is specifically geared toward the visual, while written content is often a secondary aspect. Instagram users are looking for authenticity — they want real moments, even if those moments aren’t perfect. If you use a photo, try to stay away from overly stock-looking or staged photos. You should also make sure that the image is high quality, and sized correctly for Instagram (1040 x 1040). It can be valuable to download a photo editing app like VSCO or Snapseed to edit your photos. In your caption, ask questions to engage your users and make sure to respond to comments. It’s also worth noting that unless you have 10,000 followers, you can’t include links in your post captions, so it may be helpful to explore using your link to a job in your bio (just make sure to mention where the link is). It’s helpful to look through Instagram’s “explore” page to see what other users are doing. You might have ideas that inspire you! Twitter is about what’s new and what’s relevant. Posts that don’t offer any sort of up-to-date information or take a stance don’t perform well. Be part of the conversation to get more likes and engagement. Be succinct. It sounds obvious, but it’s imperative to condense any relevant information. To be successful at Twitter, embrace the #hashtags. They are a good way to be found by users. Look for topics that are trending and think about ways you can incorporate these topics into your posts. Include why your job matters — what about it might be timely for a user? Direct messaging can also be a great way to reach healthcare professionals, and you may find that you get more responses when you personalize your message. Success on social media may take a little more time than traditional networking, but it's incredibly valuable if you choose to take a few minutes to tailor your posts to the network you’re using. Have a social media success story? 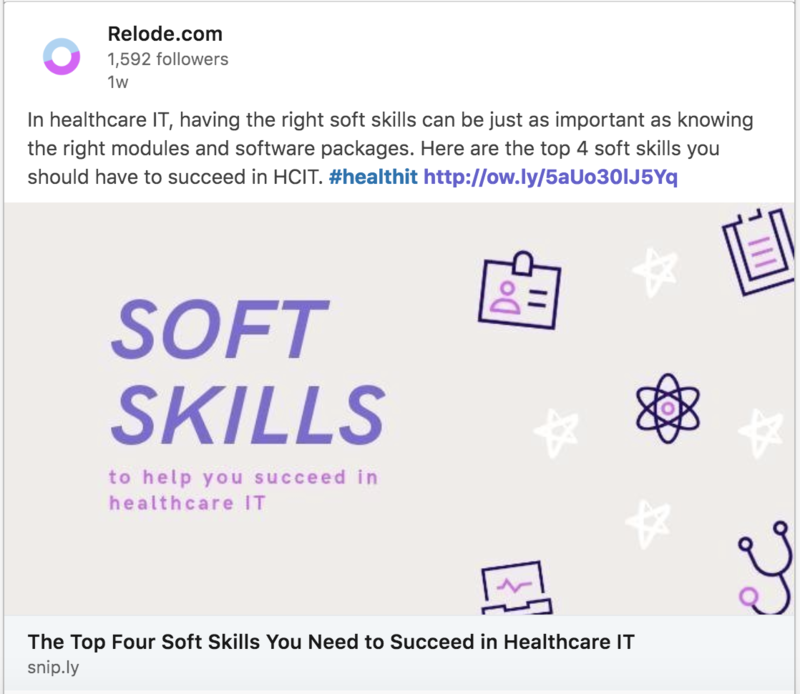 Send us a message to blog@relode.com — we'd love to feature you on our social!